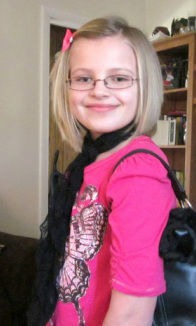 Virtual Vae Day 2015 - Nevaeh's 13th Birthday! This site is dedicated to my beautiful, joyful, energetic, inspiring, silly, loud, loving, helpful, and happy daughter Nevaeh Danae' Bishop. Nevaeh, also known fondly as Vae, experienced life with an ever present smile on her face and an everlasting joy and amazement in everything around her. She livened up any room she walked in with her energy, laughing loudly, at times somewhat obnoxiously, and demanding the attention of everyone around her. I knew from the minute she was born she would be a talker. She would coo for hours on end and usually sang herself to sleep. She spoke her first word at six months and by the time her first year well check came around she was saying and using over 25 words in the right context, I knew then that I had one smart cookie on my hands. It was also apparent very early on that Vae was going to keep me on my feet with her curiosity and activeness, she never walked she ran! She would get this intense look in her eye when she had a goal in mind and start off at a brisk pace, her right arm swinging at her side like a speed walker, and nothing could stop her. Nevaeh attacked every day with this exuberance and vitality. Nevaeh was the driving force behind everything I did before she passed and continues to be what keeps me going today. No matter how many curve balls life through me I just looked into that smiling face and knew I could face anything with my baby girl by my side. Nevaeh touched so many lives and it is amazing to see how she continues to touch people even after her passing. 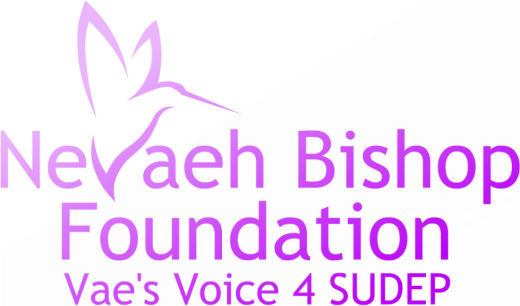 The Mission of Vae's Voice is to bring awareness to SUDEP and Epilepsy, help fund research through The Baylor College of Medicine and provide EMFIT Monitors to those living with epilepsy in the hope of helping prevent SUDEP.